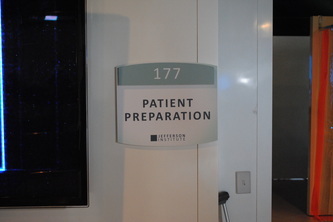 September 3, 2012 - I was put under during my visit to the Jefferson Institute. Fortunately I survived and I am able to share my experiences there and help add to the coma conspiracy that surrounds the facility. 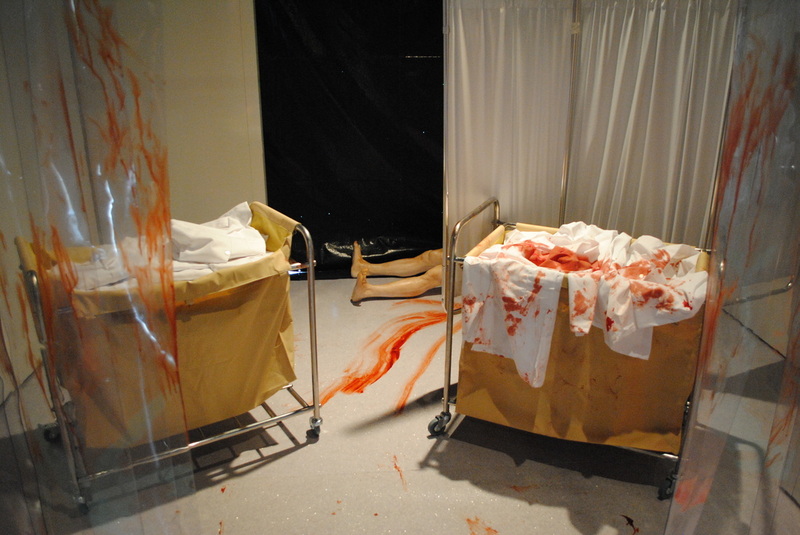 Please take a look below at some of the photos I was able to smuggle out during my stay at the institute. 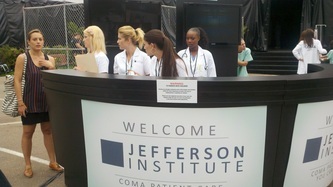 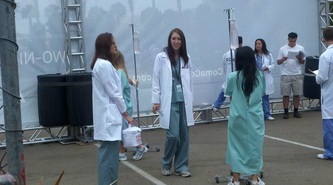 Reception - Participants will be greeted by Jefferson Institute nurses who will admit them into The Coma Experience. 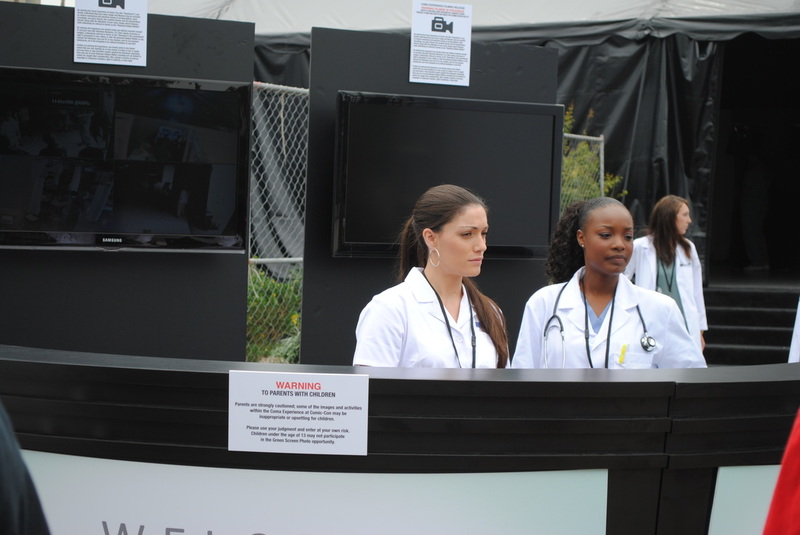 The nurses will guide the visitors to the security monitors so they can get a glimpse of what theyre about to step into as well as see exclusive, first-look footage from the mini-series. 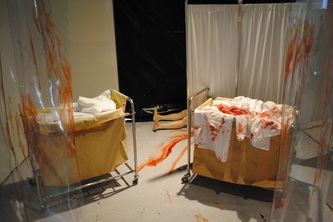 Surgery - Nurses will then take fans to the experiential surgery room where theyll meet surgeons who will decide if theyre good candidates for the tour. 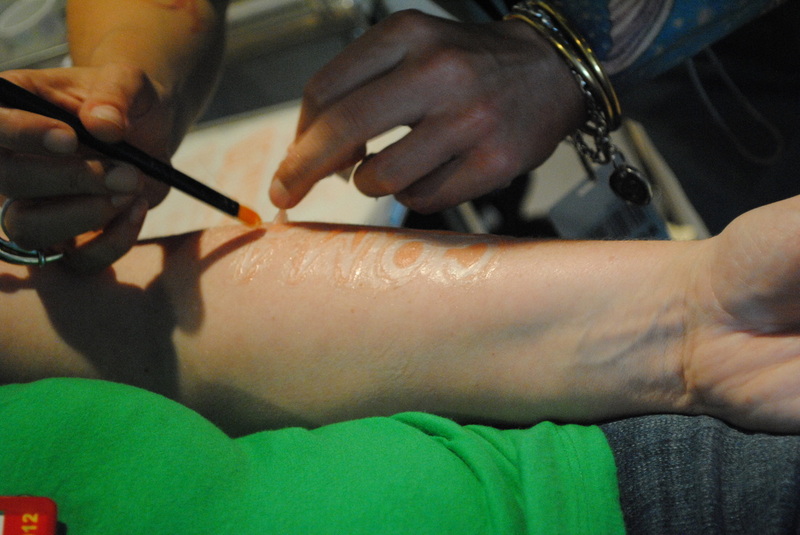 If so, fans will have the option of getting a 3-D surgical scar tattoo. 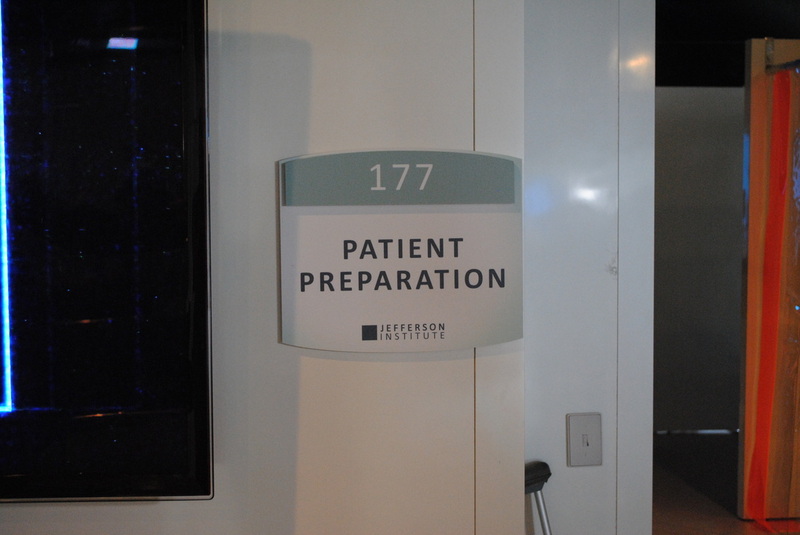 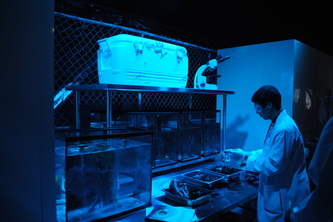 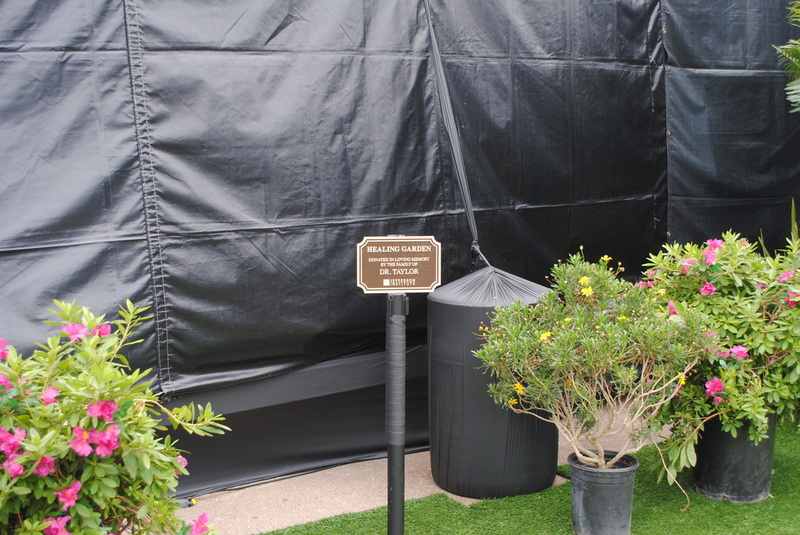 Area 2 - As part of the experience, visitors will be allowed to access The Jefferson Institutes highly secured Area 2, where they will get a glimpse of the doctors at work. 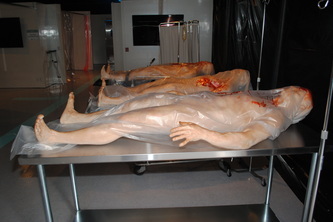 In this room, Jefferson Institute human specimens will be on display designed with the chilling look and feel thats authentic to the mini-series. Area 8 Green Screen - Finally, visitors will be able to step into Area 8, which will be the end of The Jefferson Institute tour. 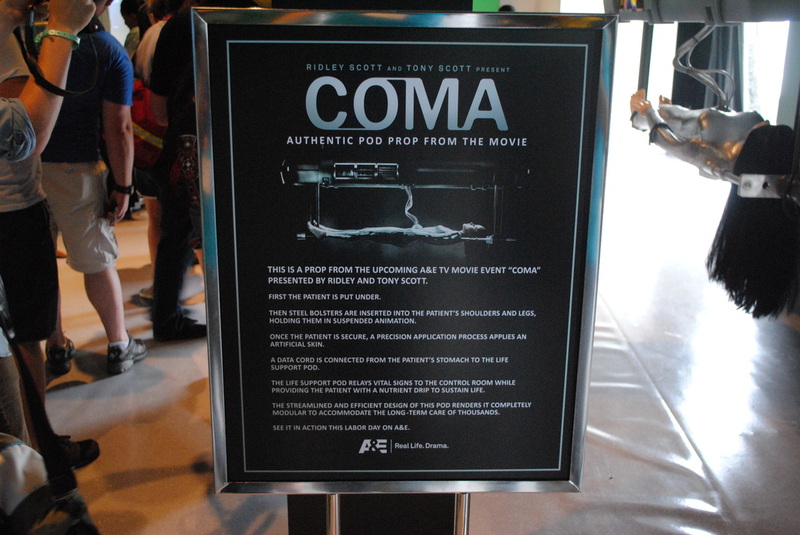 Area 8 will offer visitors the opportunity to get an up close and personal view of an actual Coma Pod that was used in the Ridley & Tony Scott production. 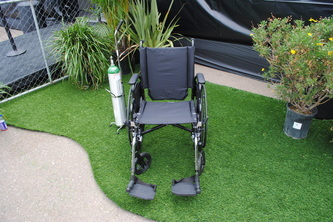 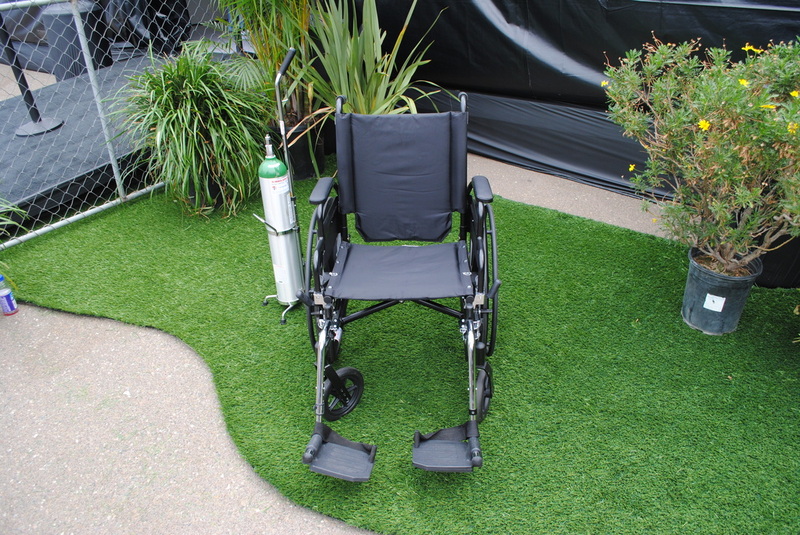 In addition, visitors may participate in a green screen photo opportunity that places them into the iconic Coma Pod as if they themselves are the victims of the Jefferson Institute. For a fully immersive experience that extends beyond Comic-Con, fans can go to www.comaconspiracy.com where they can activate a thrilling digital experience. 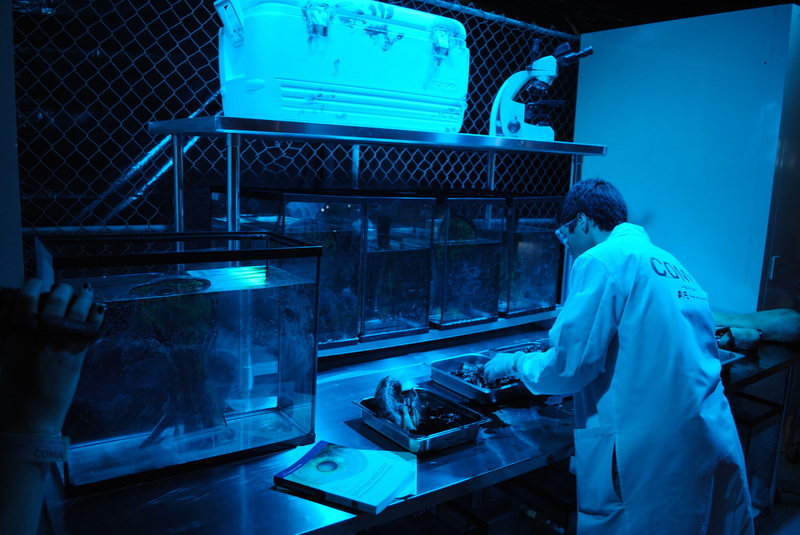 The hacker activists that are trying to take down the Jefferson Institute in the mini-series will invite visitors to join their cause, and opting-in will launch a highly-targeted digital cat-and-mouse game that pulls fans into the heart of the Coma Conspiracy. 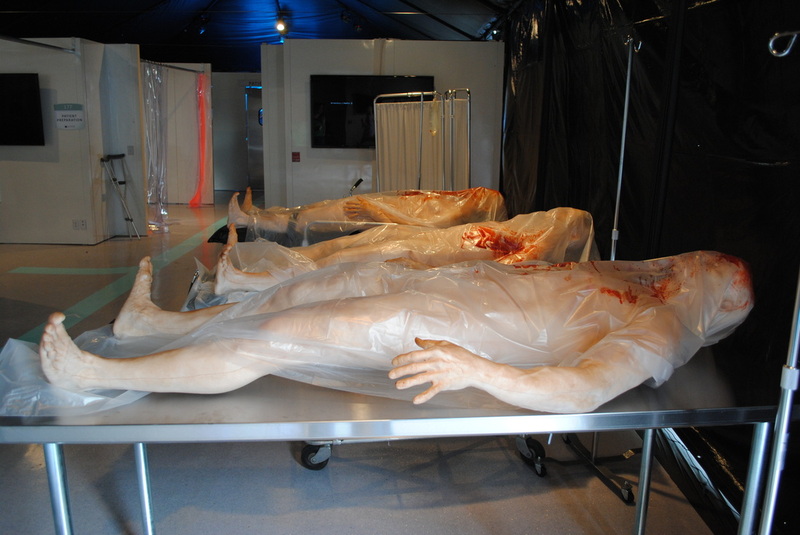 Here, participants will feel first hand what its like to go up against the all-knowing, all-powerful and heavily financed Jefferson Institute. 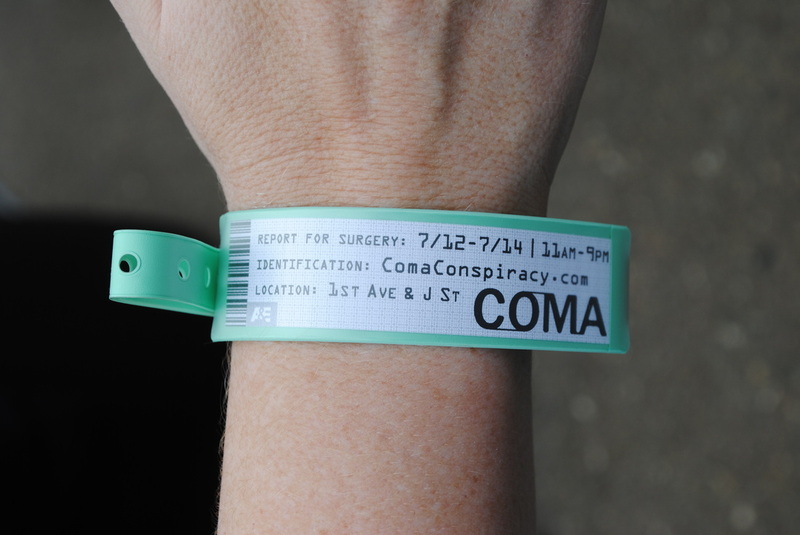 Coma is a two-night special event starring James Woods, Geena Davis, Richard Dreyfuss, Ellen Burstyn, Lauren Ambrose (Six Feet Under) and Stephen Pasquale (Rescue Me) premiering on A&E, Monday, September 3 and concluding on Tuesday, September 4 at 9PM ET/PT each night. 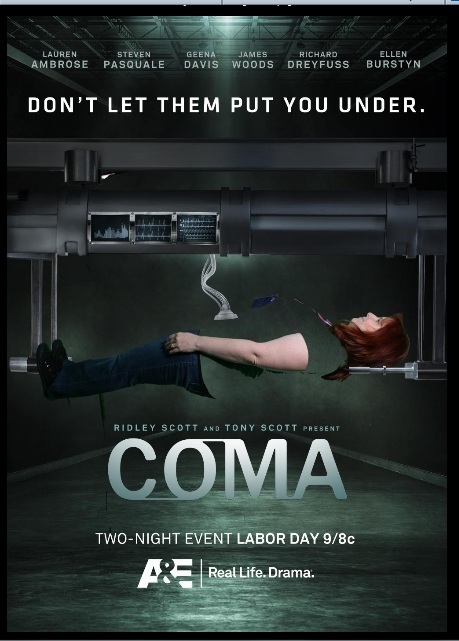 In Coma, a young doctor (Lauren Ambrose) discovers that something sinister is going on in her hospital after routine procedures send more than a few seemingly healthy patients into comas on the operating table. 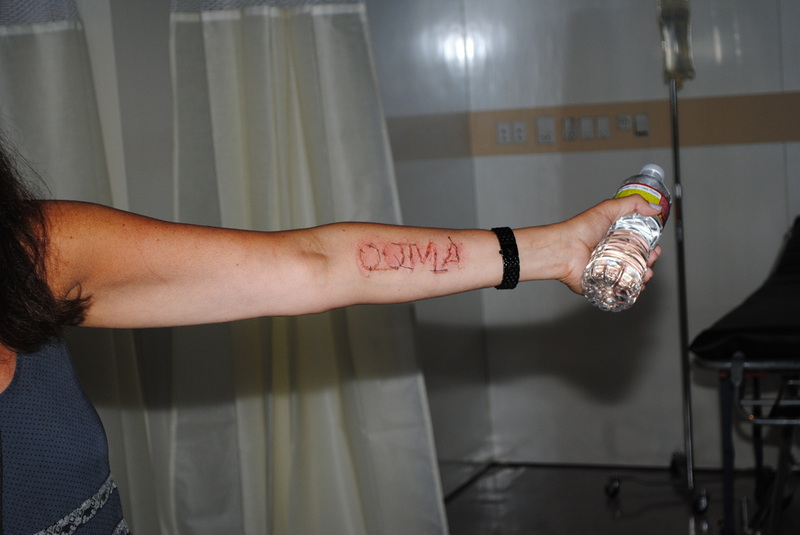 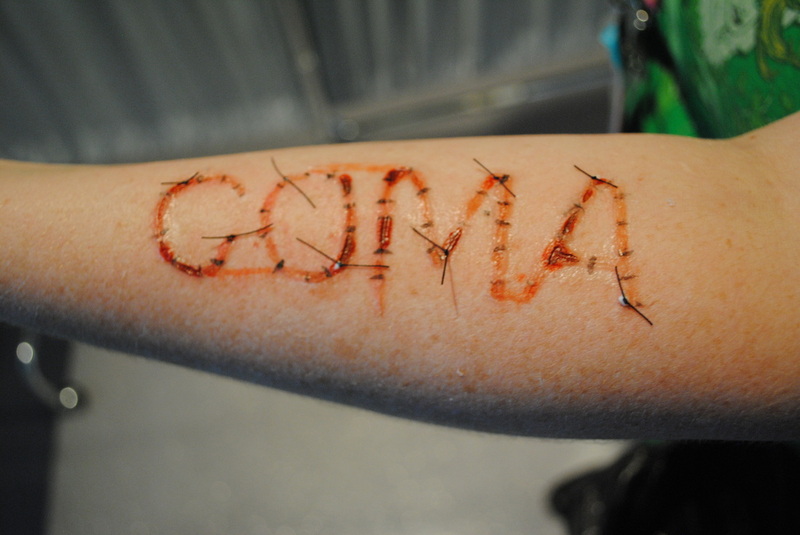 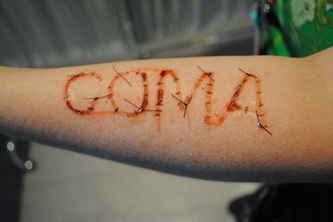 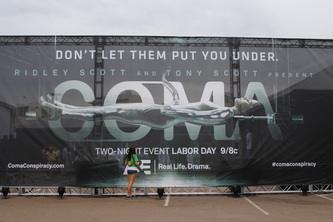 Coma is produced by Sony Pictures Television for A&E Network. Executive producers are Ridley Scott, Tony Scott, David W. Zucker, Martin Erlichman and Mikael Salomon. 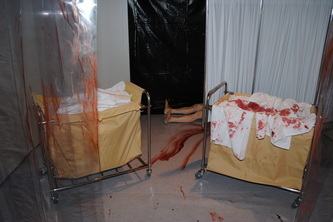 A&E is Real Life. 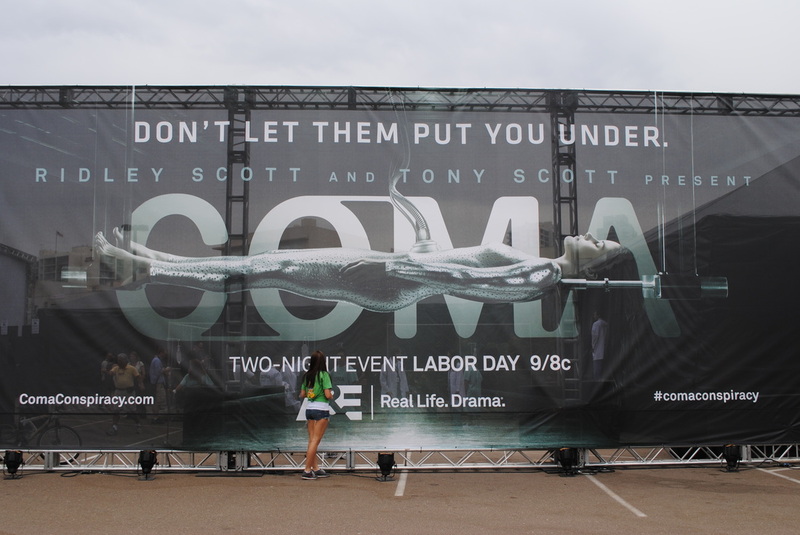 Drama. Now reaching more than 99 million homes, A&E is television that you cant turn away from; where unscripted shows are dramatic and scripted dramas are authentic. 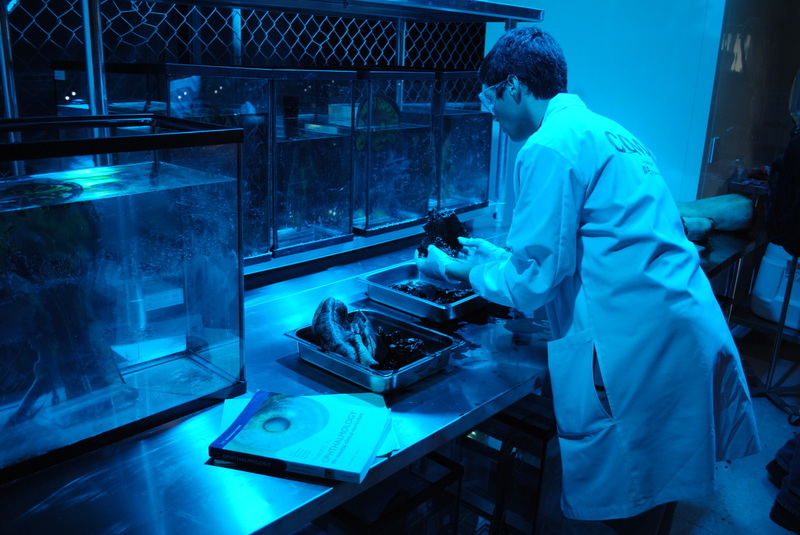 A&E offers a diverse mix of high quality entertainment ranging from the networks original scripted series, including The Glades and Longmire, to signature non-fiction franchises, including the Emmy-winning Intervention, Duck Dynasty, Hoarders, Beyond Scared Straight and Storage Wars, and the most successful justice shows on cable, including The First 48. The A&E website is located at www.aetv.com. 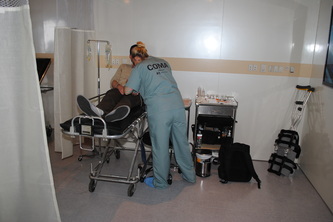 For more press information and photography please visit us on the web at www.aetvpress.com.